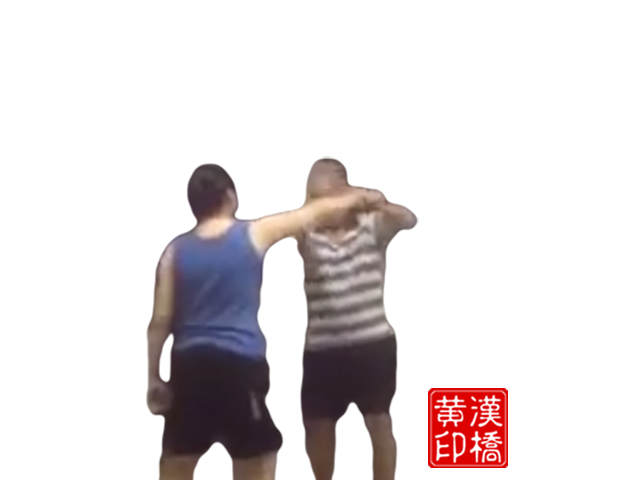 In my video, I intercepted ( i.e.ward-off ) the intruding dagger-arm then used wrist-coiling ( wrist-hook like 勾手 in ” single whip “) to lock then grip it. At that moment she might attack me with another hand or leg. In order to disable her , the best way is to make her unbalanced ( this is usually done by tai-ji) . So I immediately struck her upper-arm to make her fall side way !